High Rollers (VIP passengers) got special treatment on the High Roller, the tallest Ferris wheel in the world on New Year's Eve. At the midnight the wheel was halted so that passengers could enjoyed fireworks from 167.6 meters or 550 feet above the ground with a champagne toast. 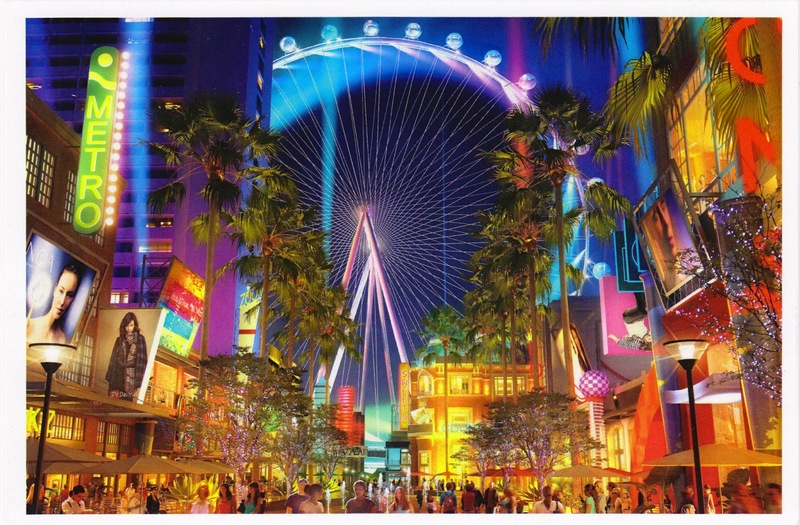 Postcard US-2984268 to Thailand shows the High Roller at The LINQ Promenade, which opened on March 31, 2014. 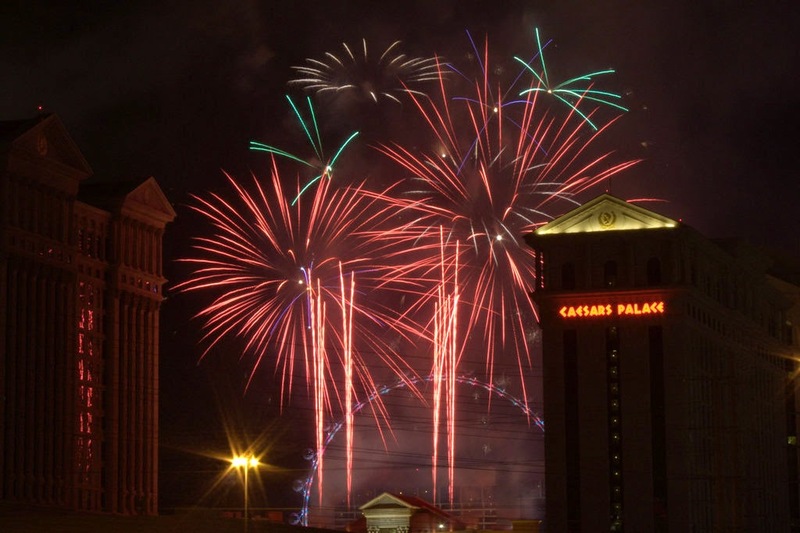 2015 Fireworks from Caesars Palace with the High Roller in the background.